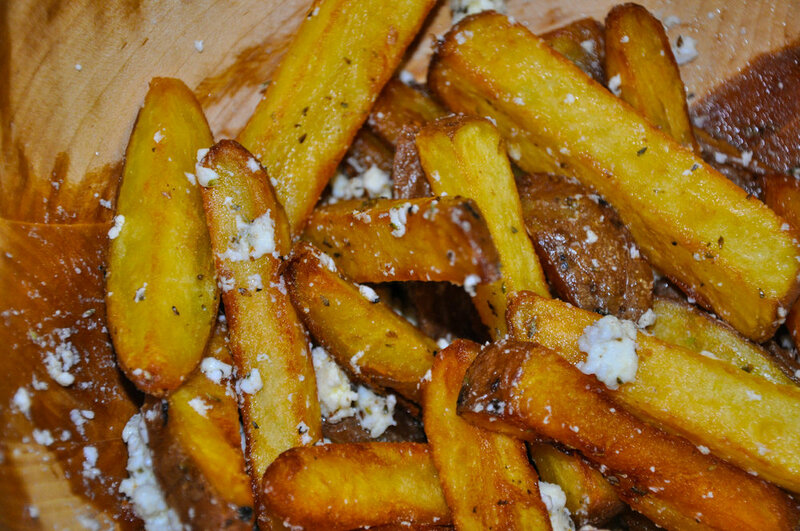 The Feta Chips are from Mr. Masterchef Australia, George Calombaris who also runs a number of modern Greek restaurants in "Oz". These two dishes are very, very tasty and worth the effort … I used a shoulder for the lamb and even on the second day it was extremely moist! 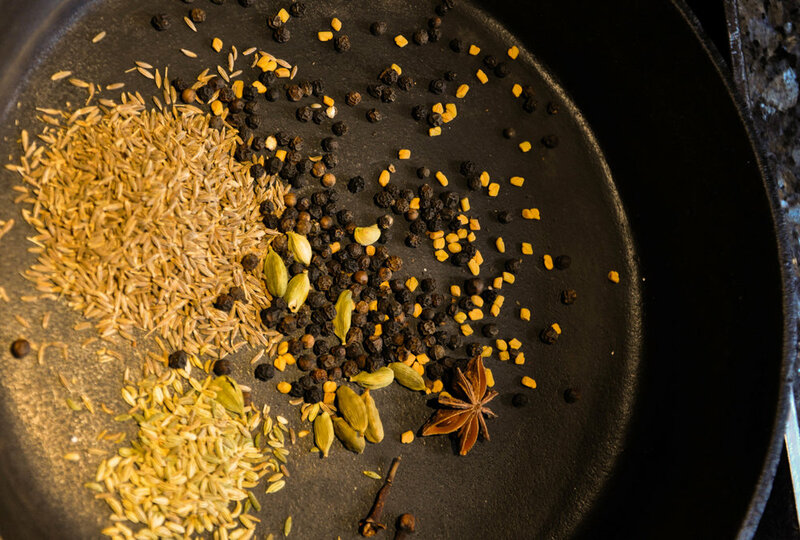 Put (first eight ingredients) the peppercorns, cloves, cardamom, fenugreek, fennel, cumin, star anise and cinnamon in a cast-iron pan over a medium-high heat and dry-roast them for a minute or two, until the spices begin to release their aromas. Take care not to burn them. 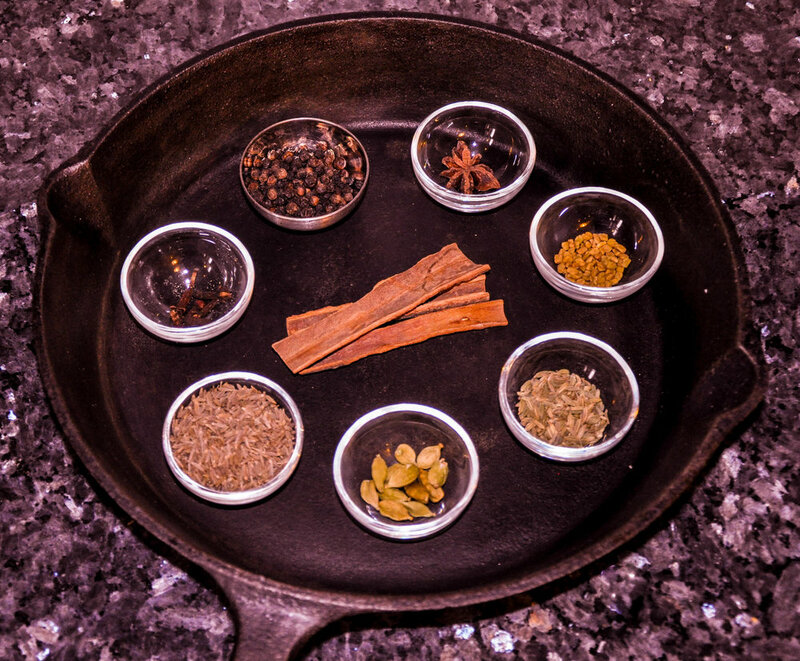 Add the nutmeg, ground ginger and paprika, and toss for a few more seconds, just to heat them, then transfer to a spice grinder or mortar and pestle and process until a powder. 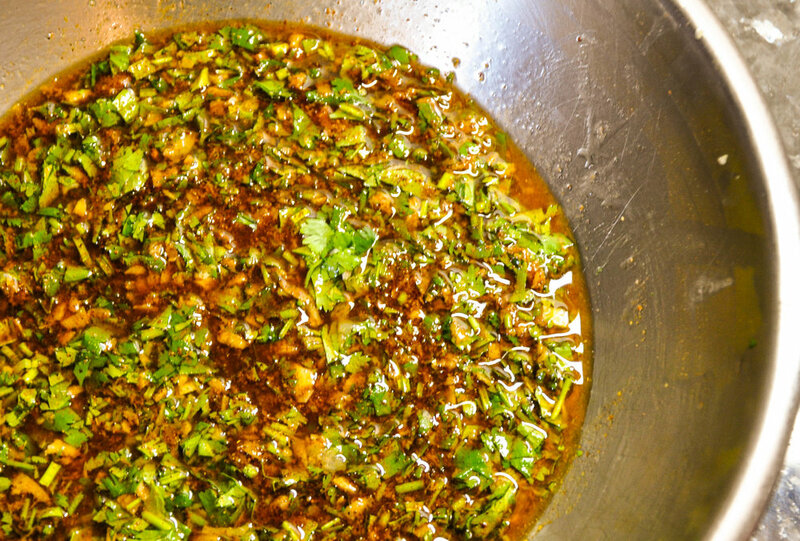 Transfer to a medium bowl, and stir in the remaining ingredients (sumac, salt, fresh ginger, garlic, coriander, lemon juice and oil) and stir to combine. 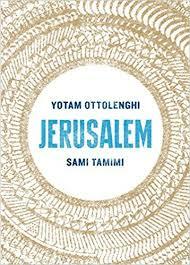 Use a small sharp knife to score the leg of lamb in a few places, making half-inch-deep slits through the fat and meat. Put the lamb in a large roasting pan and rub the marinade all over it, using your hands to get right into the slits made in the meat. Turn the lamb fat-side up, cover the pan with foil and leave it on a worktop for at least a couple of hours, or ideally, leave it to rest overnight in the fridge. Preheat oven to 150C (fan). Remove the foil, and place the lamb in the oven. Roast for approximately 4 1/2 hours (for leg) (about 3 for the shoulder), or until the meat is completely tender. After 90 minutes or so, cover the lamb with foil to prevent the spices from burning. 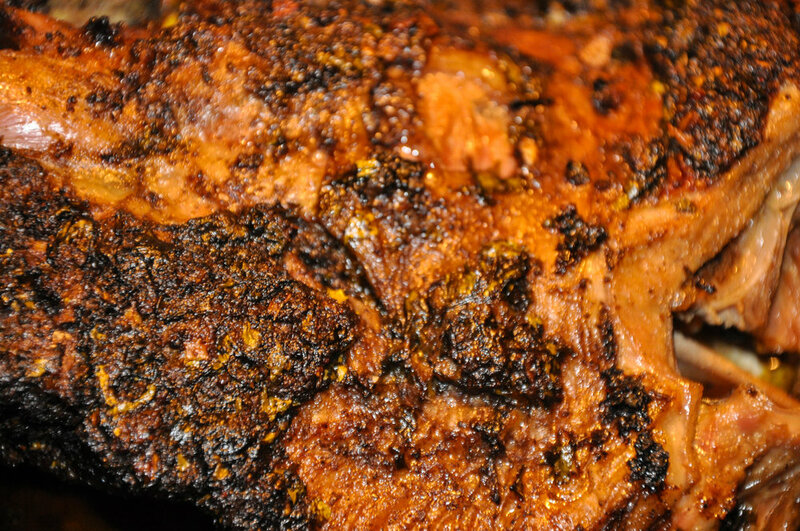 Once the lamb is done, remove it from the oven, and leave to rest for 10 to 15 minutes before carving and serving. 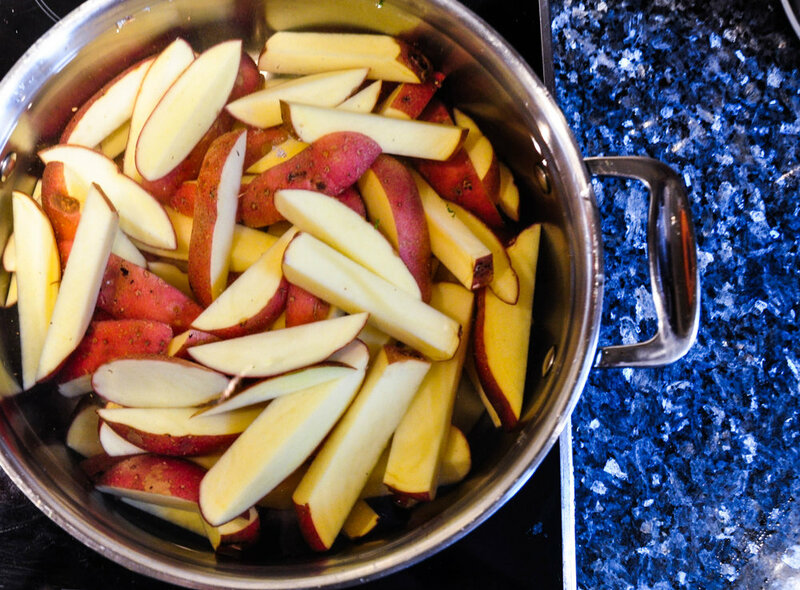 Cover potato chips with cold salted water in a large saucepan and bring to the boil. When the water comes to the boil, drain rinse under cold water to stop chips cooking. Spread the potatoes on a tray lined with a few layers of kitchen roll and put aside to dry (a few hours) or chill in the fridge overnight. Preheat the oven to 180C. Place the garlic loosely in foil and roast until soft (10-15 minutes). 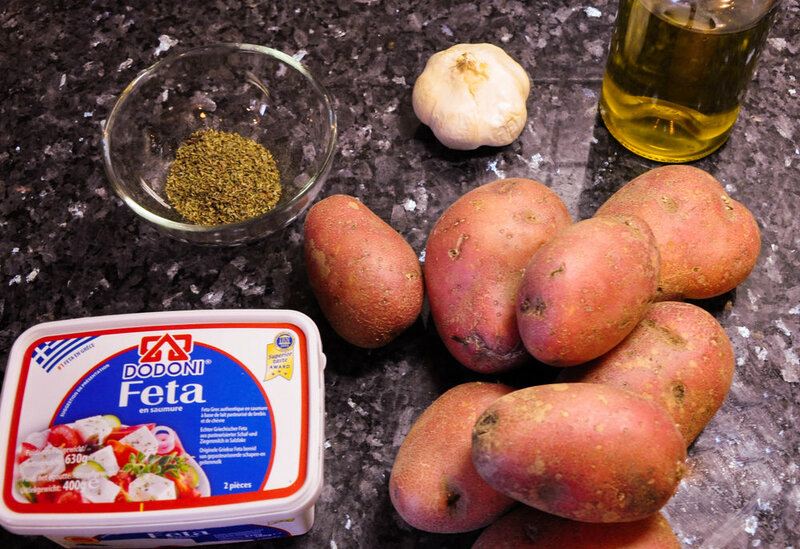 Remove garlic from oven, squeeze the garlic from skins into a bowl, add olive oil and put aside. Heat the oil in a large saucepan or deep fryer to 140C. Increase oil temperature in saucepan or fryer to 180C. Deep-fry the chips again until crisp and dark golden ( about 3 minute) then drain on kitchen roll. Season to taste with the rigani salt.